By Katie Behrens. Jul 13, 2018. 9:00 AM. Imagine you wake up one morning and discover that a mysterious benefactor left you a small fortune, stipulating that the funds be used to help others. How would you spend it? Now imagine that you have to make that decision with 293 other people without splitting the money. This is the task that the 24th Congress of the United States faced when it created the Smithsonian Institution. 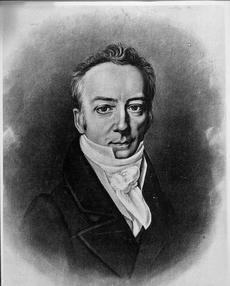 Upon Smithson’s death in 1829, word was sent to America. President Andrew Jackson was perplexed, to say the least. Why would a British scientist and aristocrat (who had never set foot on American soil) leave an estate equal to half a million U.S. dollars to the fledgling country? Did the United States government even have the power to accept such a gift on behalf of the people? Jackson turned the issue over to Congress, where former president John Quincy Adams enthusiastically took up the cause. Smithson’s nephew did indeed die without any heirs six years later, so the entire Smithson estate totaling $508,318.46 belonged to the United States. That’s when the real debate began. What did Smithson mean when he said, “an Establishment for the increase and diffusion of knowledge?" Many Congressmen said the money should be used to found a university. But what would be taught there? Thomas Cooper wanted a college for science; Robert Dale Owen of Indiana wanted a college for training teachers; Francis Wayland wanted a college to teach the classics; and still others vied for a college of natural science. Eventually, the topic of a national university was dropped from discussion. Senator Rufus Choate passionately argued that Smithson’s money would be best used to fund a national library (the Library of Congress was yet very small). 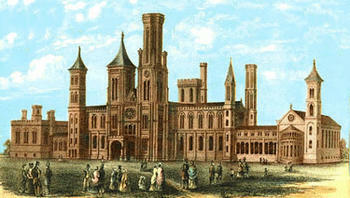 Many scientists said that the Smithsonian Institution should follow in the scientific footprints of Smithson himself and be a natural history museum and research facility. John Quincy Adams had an unrivaled passion for astronomy and championed the cause for a national observatory. Though he would live to see the Naval Observatory in Washington and an even larger facility in Cincinnati, his failure to create a Smithsonian observatory weighed heavily on his heart. The plan that won out after 8 years – 8 years! – of congressional debate was an amalgamation of the most popular proposals. The Smithsonian Institute would be part library, part museum, part scientific research lab, part learning institute. The Smithsonian would be governed by a Board of Regents and a Secretary of the Smithsonian. It would operate outside of the three branches of federal government, but still be a federal institution. And above all, it would always seek “the increase and diffusion of knowledge” within the United States of America. Portions of this post previously appeared on our blog.